Sent to Penny Reid immediately upon finishing Part 1 – Attraction. I am sending you this message in desperation. I am begging, pleading, imploring, coaxing, desperately requesting an ARC for Heat. I was one of the very, very, very lucky folks to receive an ARC for Attraction at ABF. I was able to start, and finish, Attraction this afternoon. And, I can’t wait. I am beside myself needing to know what happens next. While I am grateful for the first chapter of Heat in the back of the ARC, (I don’t think my heart could have handled the cliffhanger without it.) I need more. I need to know what happens with Martin and Kaitlyn. I just gushed to my blogging partner about how amazing this book is. 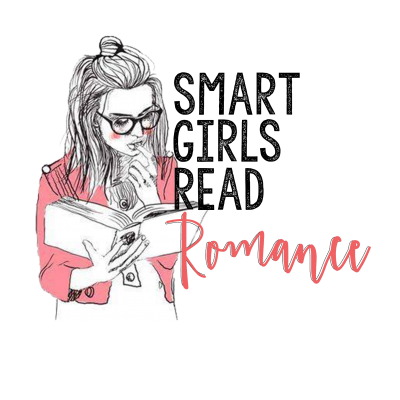 It is really all of the reasons that I love to read romance books. I need to know what happens. I can’t wait. I feel like I have very little to offer you in exchange for said ARC. Would undying love and devotion suffice? I contemplated offering my first-born child. But….he’s the only-child and adopted; and I’m not sure if that meets the standard definitions for first-born. Plus, he’s pretty cool and I think I would miss him after a few days…..Even if I have to wait (many more torturous days), I will still look forward to reading Heat and Capture. You’re such a talented writer and I’m looking forward to more great stories! Yes, I was that desperate! I wanted the next book so badly I couldn’t stand it. This book is phenomenal! Penny Reid is a fantastic writer. She writes complex, interesting, intelligent, quirky and engaging characters that pull you into their lives and their stories. I called BFF A practically shaking after I finished Attraction. I told her, “this is why I read romance novels.” Ahhhh – Kaitlyn Parker is so smart and charming and endearing and wonderful. Martin Sandeke is complicated and worthy of a little redemption. I want to climb in their story and live in the pages. I had butterflies and goosebumps and other animal-ish reactions! I was laughing out loud and grinning like a crazy person! Attraction left me clamoring for more of Kaitlyn and Martin’s story! I’m aching to know what happens next and how they can resolve their issues to find a Happily Ever After in their own unconventional way. Do yourself a favor and read this book! Do your friends a favor and tell them to read this book! I can’t wait to hear what you think about each of the books in this series! PS – To prove her awesomeness, I received HEAT within a few days of my shameless email request, because the evil-overlord is super cool like that! Here are the Amazon links to Pre-Order Heat and Capture. After you finish Attraction you’re going to want to do this ASAP!